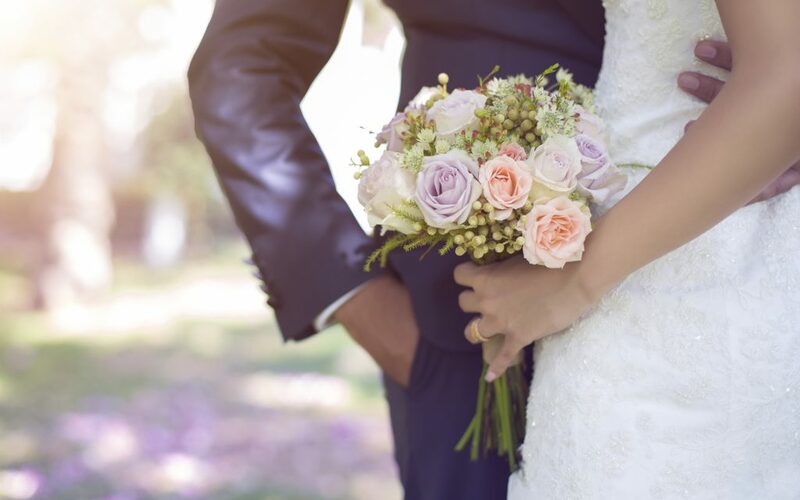 Spring is in full bloom and wedding season is right on its heels. 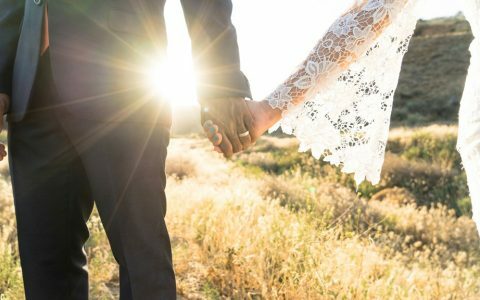 For those who want to incorporate their love for cannabis into their big day, there’s never been a better time. 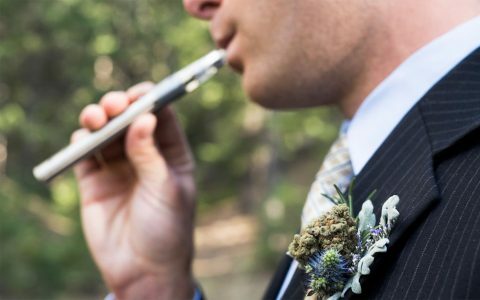 Cannabis-friendly weddings are on the rise, so to help you get in on the fun, we dove into some beautiful cannabis products, floral arrangements, and more that are sure to make both your guests and yourself very happy—and maybe just a little bit buzzed. 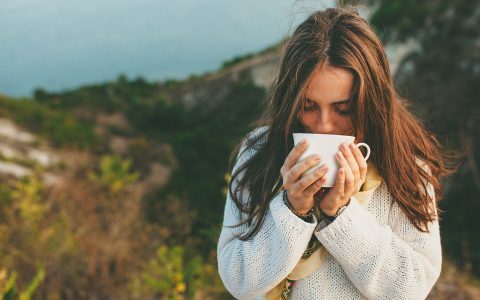 Whether you’re after bridesmaid gifts, wedding favors, or an accent to your outfit, check out our list below for eight lovely ideas. 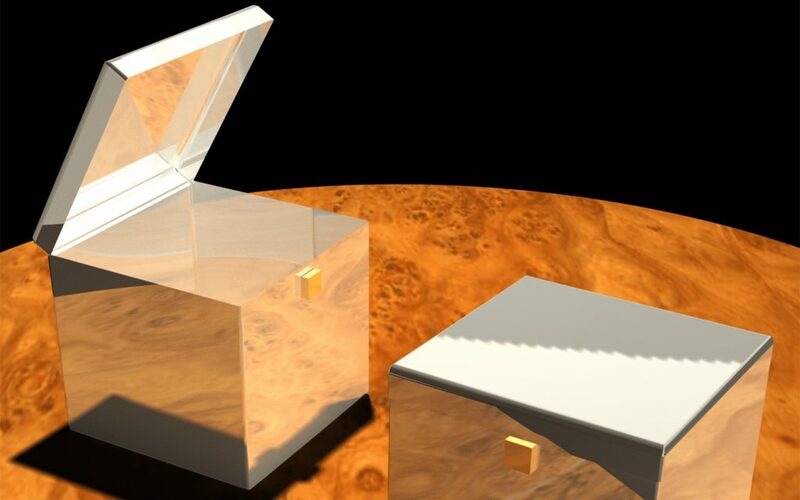 If you’re not one for flashy trinkets yet still want to showcase cannabis, take a look at whole plant jewelry options. 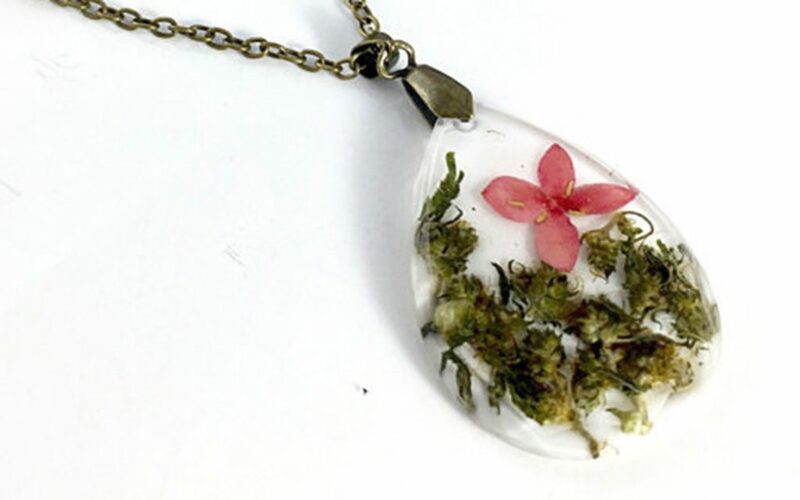 The Stems and Seeds necklace is a sweet and discreet accessory that can complement a number of wedding looks, while the long Cannabis Drop necklace celebrates all the botanical elements connected to the plant itself. 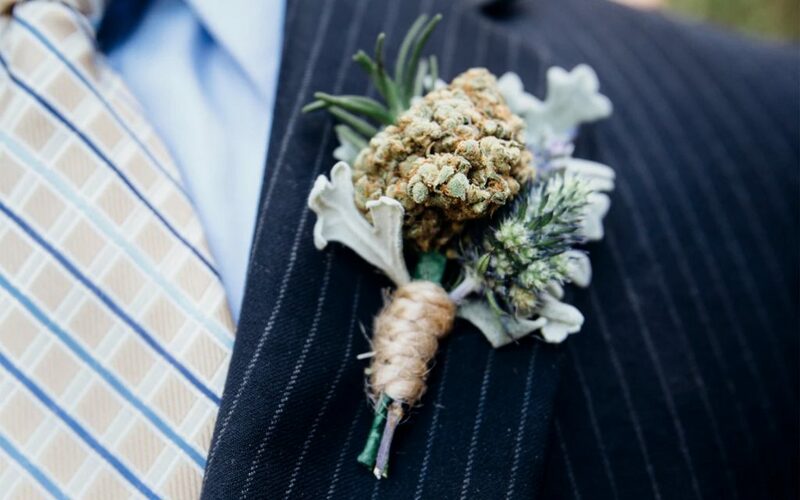 To make a bold statement on your wedding day, why not incorporate your favorite strain into your wedding bouquet or boutonniere? 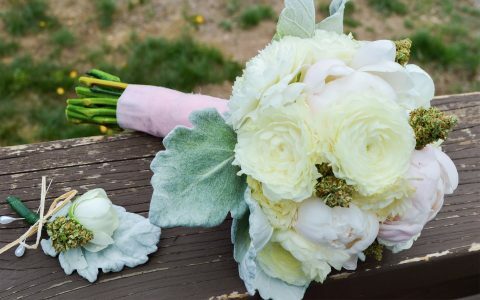 Irie Weddings and Events is one company that can make those dreams come true—all you have to do is choose your bud of choice and they’ll do the rest! 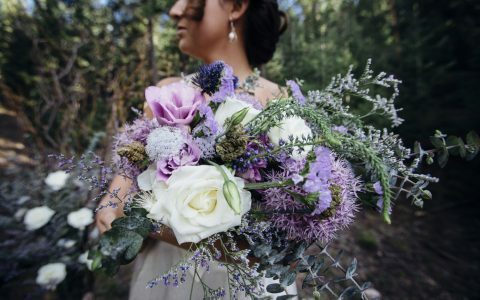 Using flowers, trinkets, jewels, and myriad other pretty things to adorn wedding hair has been a practice since the dawn of time. But instead of pearls and roses, consider the cannabis flower or cannabis leaves. 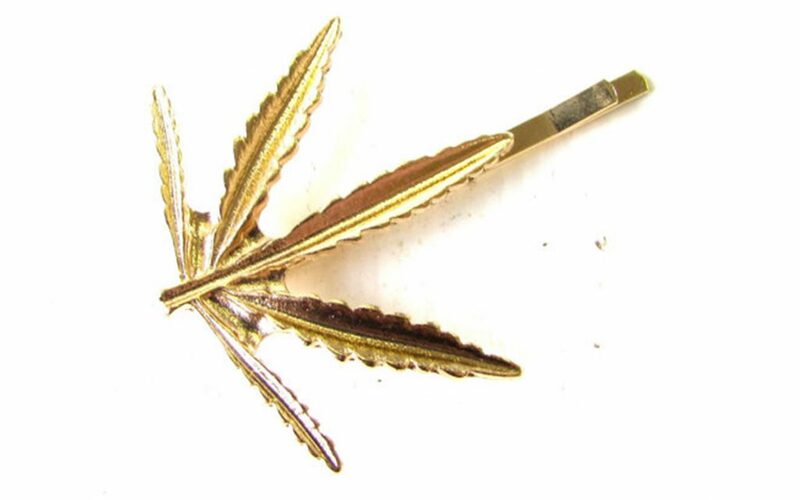 These gold cannabis bobby pins will make a subtle statement, while a DIY flower crown using fresh buds offers both visual appeal and the option to smoke your creation at the end of the night. 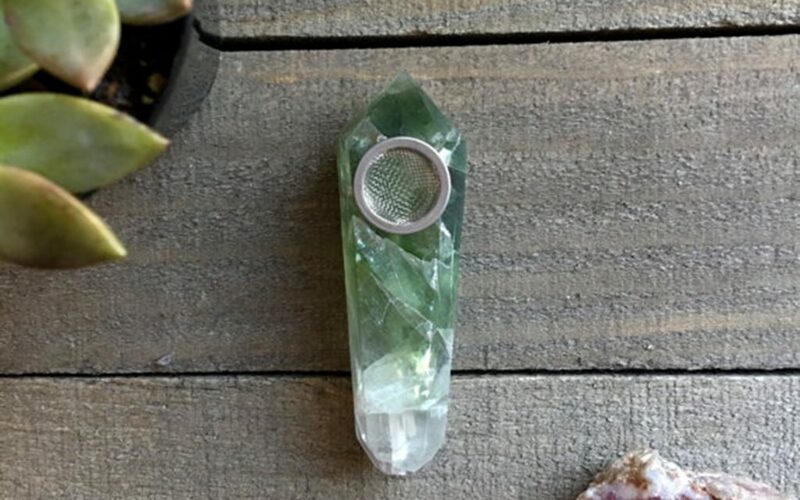 Planning on having a cannabis bar or need some last-minute bridesmaids gifts? These delicate pipes will punch up any table or wedding swag bag. The crystal option can fit an array of celebration themes, while the seashell pipe adds a touch of whimsy. You’ll probably want a bit of relief after getting down on the dance floor all night long. 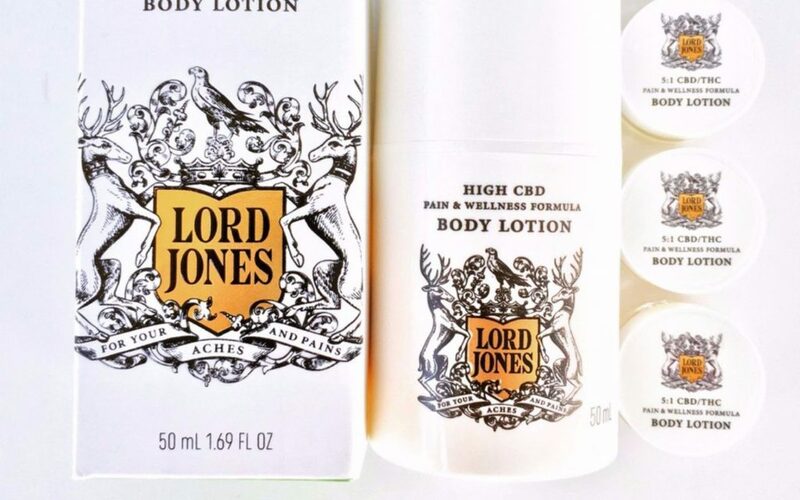 Enter such topical cannabis products as Lord Jones’ beautifully packaged CBD-infused lotion—rub a bit on your feet and you’ll be good to go. To keep your lips nourished during the big kiss, slick on some Apothecanna lip balm—this ultra-hydrating balm will refresh your lips and keep them soft for hours. 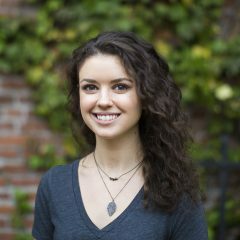 If you’ve been to a wedding in the past few years, you’ve probably noticed the ever-growing trend of “candy bars” filled to the brim with an assortment of sweets for guests to take home in goody bags. 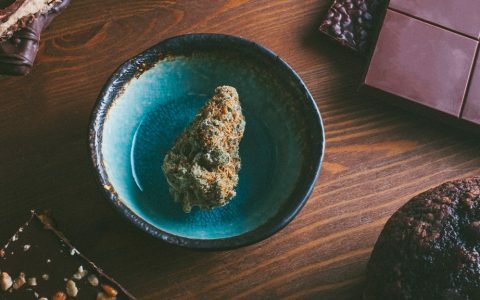 Thanks to the explosion of candy edibles in the cannabis market, you can now offer delicious treats for your canna-friendly guests! 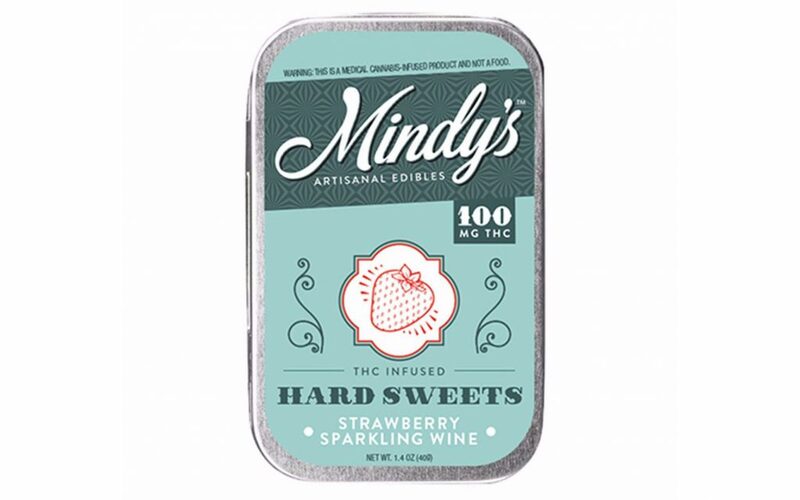 Mindy’s sparkling wine candies are the perfect substitute for guests who’d rather forgo the actual wine, while Satori Salted Caramel Cacao Beans are an excellent choice for chocolate enthusiasts. Just be sure to triple-label anything with THC, and keep this portion of the candy bar set up well out of reach of any younger attendees. These pretty stash boxes are the perfect way to thank special guests and put a wrap on the wedding—and there’s no reason to worry that non-consumers won’t use them, because they can be used to stash anything you like. 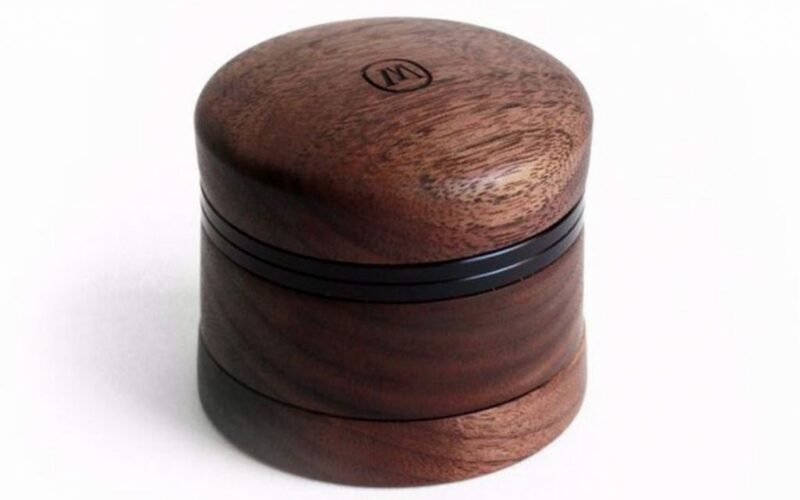 The RSM Sterling Stash Box is affordable yet fancy enough to impress any guest, while WanderingBud’s pretty stash jars can be easily customized to suit your wedding party’s unique personalities.